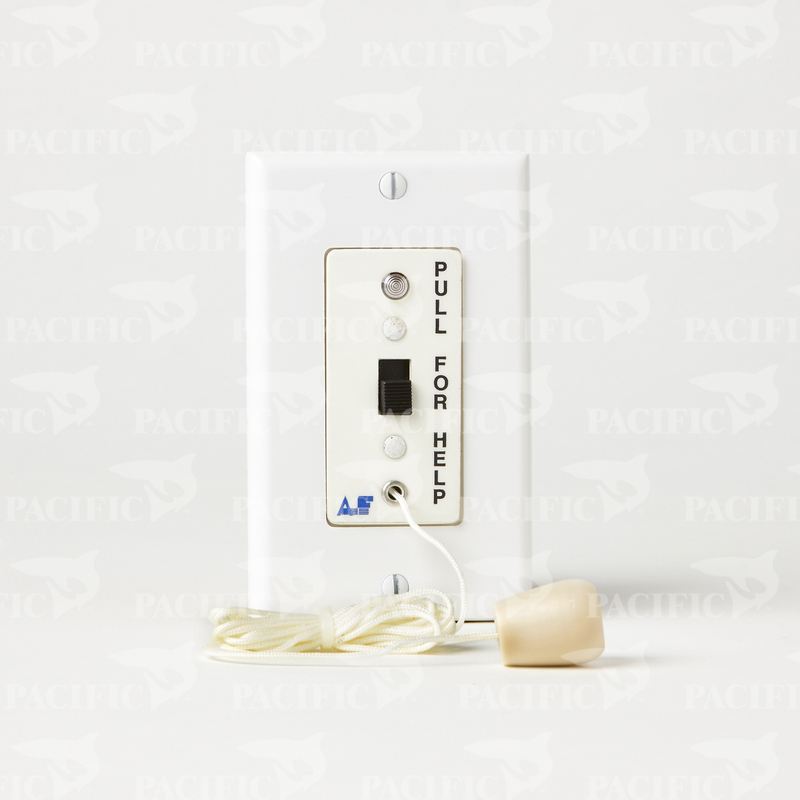 Emergency pull cord to provide a means of registering an emergency call from a bath or similar location to the master communication console. When the cord on the emergency station is pulled, the following indicators flash: The red “Call Placed” LED on the emergency station, the red “Call In” LED on the duty stations, the dome zone lamps and the room “Call Placed” LED on the annunciator. At the same time on-off audible tones are outputted at the annunciator and duty stations. Water resistant.